Born in France in 1961. Still the same even after more than 50 years! Designed to stimulate the senses and soothe teething pains, Sophie the Giraffe is a true icon, loved by millions of children (and parents!) around the world! Sophie the Giraffe is Baby’s first toy that stimulates each of the five senses. 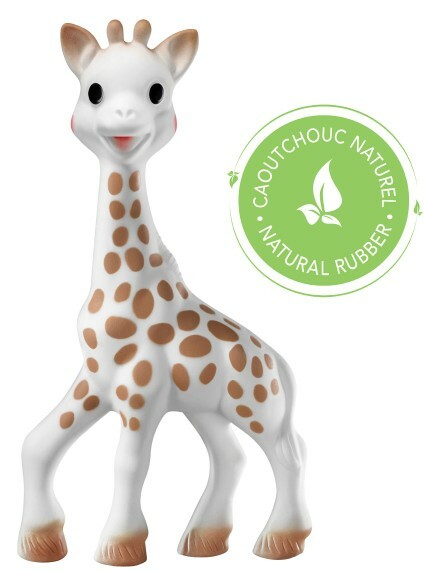 Made from 100 per cent natural rubber (Phthalate-free) derived from the sap of the Hevea tree, Sophie’s flexible, renewable, natural materials and non-toxic food grade paint mean she is a safe and natural teething toy for your little one. Sophie is still produced traditionally in France using a closely guarded process involving 14 manual operations. 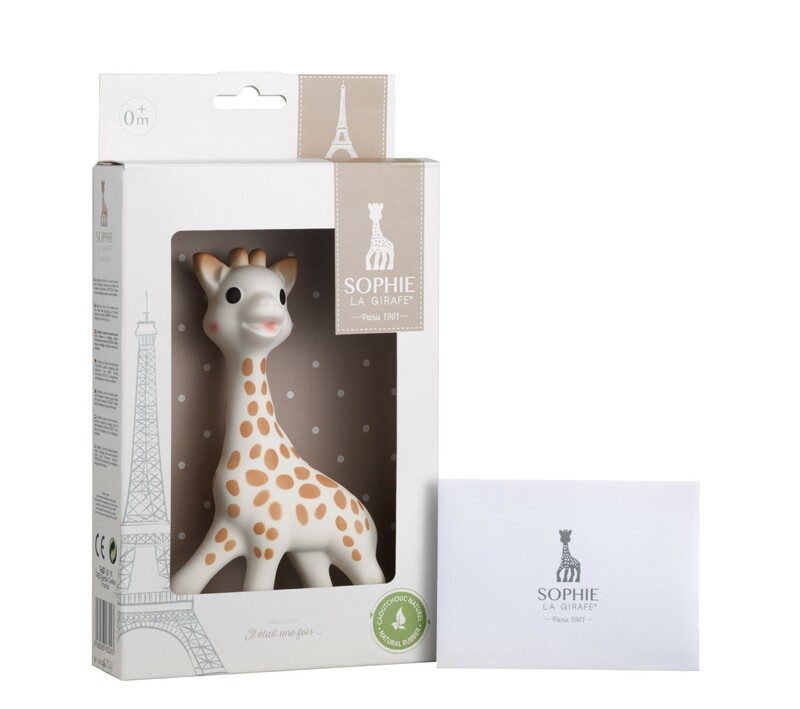 Since her birth in 1961, Sophie the Giraffe has wowed over 50 million babies (and parents) worldwide with her natural beauty and charm, and her retro style has ensured that she has remained a “must have” baby toy. 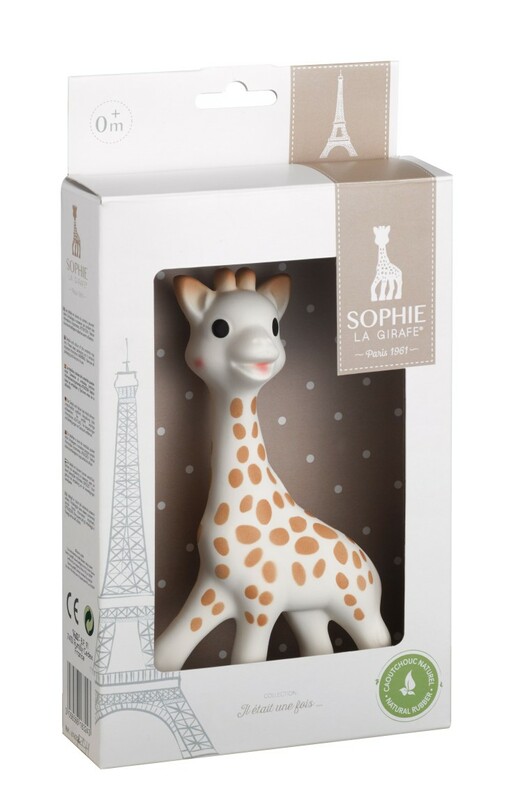 This version contains an Original Sophie la girafe® supplied in a modern looking ‘il était une fois’ gift box.